Vintage chair clip art depicting an antique chair. This chair drawing was even labeled and antique chair when it was drawn over 140 years ago. 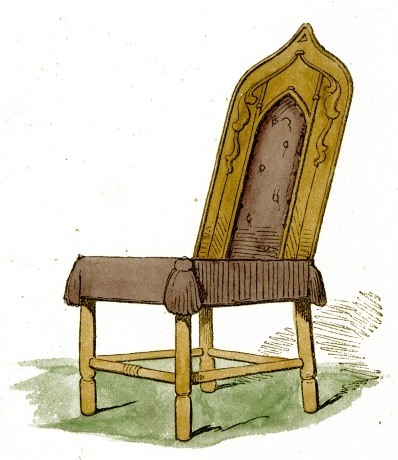 This public domain furniture drawing of a classical chair would make a great addition to your next creative project. This vintage drawing dates all the way back to 1869 when it was included, without attribution, in Harry’s Ladder to Learning; published by Ward, Lock & Taylor of London.